In just 1 year, the average American spends nearly 300 hours driving. With that much time spent behind the wheel, it makes sense why drivers want a little luxury in their vehicles. For SUV shoppers, the Ford Expedition and the Lincoln Navigator are two options that are sure to add some joy to those 300 hours. 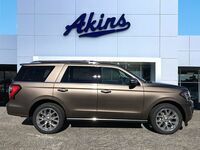 Find out which of these SUVs brings more value with this side-by-side comparison of the 2019 Ford Expedition and the 2019 Lincoln Navigator. Luxury SUVs have been known to come at unforgiving prices, and the Lincoln Navigator is no exception. Even the model’s lowest trim level carries an MSRP of $73,205. The Expedition gives a much more agreeable pricing structure starting at $50,045. Another key difference between these two three-row SUVs is seating capacity. The Expedition, which features bench seats in the second and third rows, can comfortably seat up to 8 passengers. Alternatively, the Navigator’s second-row bucket seats limit the vehicle’s seating capacity to 7 passengers. Taking a look at the higher-level Expedition Platinum and Navigator Reserve trims, the offerings are nearly identical. Both flaunt a luxury, leather-trimmed interior with genuine wood accents and ambient lighting. In terms of tech, both also offer standard intelligent access with push-button start, Wi-Fi hotspot capability, emergency brake assist, automatic cruise control and automatic high beams. So, what sets these two luxury trims apart? It’s all in what you pay. The Navigator Reserve is anything but reserved in its pricing with an MSRP of $85,205. Offering many of the same great features seen on the Navigator Reserve, the Expedition Platinum sports a much lower price tag with a starting MSRP of $73,365. With the Expedition Platinum costing over $10,000 less, vehicle shoppers can choose to pocket the difference or to suit up their SUV with add-ons like the rear-seat entertainment system, Trailer Backup Assist or the Heavy Duty Trailer Tow Package. 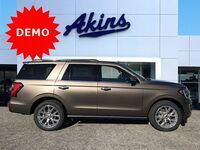 Interested in a 2019 Ford Expedition?